Sheriff's deputies allowed ICE agents into a locked area in Santa Rita Jail to arrest an immigrant woman who had committed no crime. Attorneys accuse the sheriff of tipping off ICE agents about Maria Ortega's release from Santa Rita. Eighteen years ago, Maria Ortega Rangel left her home state of Nayarit, Mexico and came to California in search of a better life. In Oakland, she got married, but in 2006 her husband was tragically murdered. The crime was never solved. Years later, she met another man, married a second time, and they had a baby girl. Life's a "mixed bag," she said in a recent interview, with "happy and sad moments." Ortega, who runs a small business making tamales while raising her 10-year-old daughter, said she wants a better life for her three children. Her two adult sons also live in the East Bay. She no longer has close family in Nayarit. Until this year, she's never been in trouble with the law, but her current husband got her into a legal mess — but of the kind that California's sanctuary policies were meant to prevent. Now, she's lost her home, is facing deportation, and fears she'll have to take her daughter, who is a U.S. citizen, back to the poverty of rural Mexico. Her problems began on Jan. 23, when Alameda County Sheriff's detectives entered her home with a search warrant. They found what they were after in Ortega's bedroom: a large quantity of heroin hidden inside a dresser. Ortega cooperated with the detectives from the start. According to a report written by sheriff's deputy Aaron Bjork, Ortega told them the drugs belonged to her husband, who was not home at the time. The detectives arrested Ortega, and initially, the district attorney brought the full force of the law down on her. Prosecutors accused Ortega of drug trafficking. They recommended she not be allowed to post bail because any money she might access could have been "feloniously obtained." Alameda County Judge Roy Hashimoto signed off on the order. Prosecutors then charged her with four felonies, including possession with intent to sell and willful cruelty to a child because the drugs were kept in the house where her daughter also lived. However, four months later, prosecutors dropped all of the criminal charges against Ortega. It became clear the drugs were, in fact, her husband's — and that Ortega didn't feel safe or at liberty to ask him not to store drugs in her home. In other words, she and her daughter were innocent and afraid bystanders. But this wouldn't matter, especially once federal Immigration and Customs Enforcement agents became aware that Ortega — who is undocumented — was being held in Alameda County jail. ICE wanted to arrest and deport her, and the easiest way to do it would be to grab Ortega while she was still in the sheriff's custody. How ICE managed to coordinate Ortega's arrest with the sheriff is now the subject of a legal controversy that is putting Alameda County Sheriff Gregory Ahern's policies under closer scrutiny. Several attorneys who have defended Ortega in criminal and immigration proceedings stemming from her January arrest on drug charges believe that sheriff's deputies working in the jail broke state law by tipping off ICE about the exact date and time they were going to release Ortega. The attorneys believe that if the deputies had followed the law and simply released her, Ortega could have avoided being illegally jailed by ICE for four months — and might not now be facing deportation. Already, a federal magistrate judge found that an immigration judge employed by the U.S. Department of Justice wrongfully denied Ortega the right to post bond and instead had her jailed from February to May. "The Alameda County Sheriff's Office violated the California Values Act at several junctures," Saira Hussain, a civil rights attorney with the Asian Law Caucus, alleged in a claim filed against the county in August on behalf of Ortega. If true, the case would amount to a violation of the California Values Act, also known as Senate Bill 54, which went into effect Jan. 1, 2018. Known also as California's "sanctuary" law, it bars state and local law enforcement officers from communicating with immigration agents to enforce immigration laws — except in select cases where a person has been convicted of a violent or serious crime, or after a magistrate judge has found probable cause that a person committed a violent or serious crime. The law, which the California State Sheriff's Association lobbied against last year when it was being considered by the Legislature, is meant to prevent the deportation of people who haven't been convicted of a violent or serious crime. "People told me Oakland is a sanctuary," Ortega said about the experience. "You can't be turned over to ICE." But Ortega was turned over to ICE. And the timing of the handoff between the sheriff and ICE agents is what led Ortega's attorneys to conclude that deputies in Santa Rita Jail improperly collaborated with ICE. On Feb. 6, two weeks after Ortega was first arrested on drug charges, sheriff's deputies took her from Santa Rita Jail in Dublin to court in Hayward for a bond hearing. During the hearing, Alameda County Judge Armando Cuellar found that Ortega wasn't a danger to the community, nor a flight risk. He ordered the sheriff to release her from jail that day. Sheriff's deputies drove Ortega back to Santa Rita that afternoon. According to the claim filed against the county, they placed Ortega in a pod with other inmates for several hours. She went to sleep. When she woke up later, deputies escorted her to the release section of the jail. According to Ortega's attorneys, it was in this locked, non-public part of the jail where an ICE agent suddenly arrested her. While ICE likely knew about Ortega's arrest and imprisonment at Santa Rita Jail on drug charges — thanks to the fact that ICE has access to an FBI database of jail bookings that receives data from the Alameda County Sheriff's Office — it's unclear how ICE knew Ortega was going to be released that exact day and time. In October, Sheriff Ahern told the county board of supervisors that his deputies never proactively call ICE to let them know when a person is going to be released from jail. And Ahern adamantly said that his jails do not honor ICE holds — requests from ICE that the sheriff keep someone confined for an extra amount of time so that ICE agents can get to the jail and arrest them before they're released. But Ahern did say that ICE agents can call the jail to find out the release date and time for a specific inmate, just like any member of the public. They can also check the county jail's Inmate Locator website to learn which day an inmate will be released. Immigrants' rights advocates have characterized the sheriff's increased transparency around publicly sharing inmates' release dates as a "loophole" used by sheriffs to help ICE arrest people before they're out of county jail. But the sheriff said that this new transparency, which includes posting people's release dates on the Inmate Locator — a practice that began earlier this year — was done to help families learn when their loved one is getting out, and was in response to requests from reentry advocates. But the Alameda County Public Defender's office thinks that it wasn't just ICE exploiting the loophole that led to Ortega's arrest. Instead, Raha Jorjani, immigration defense attorney for the public defender, wrote in a court briefing that sheriff's deputies must have proactively communicated with ICE to let them know when they were releasing Ortega. "This was enabled by direct cooperation of the Alameda County Sheriff's Office with Immigration and Customs Enforcement in violation of California state law," alleged Jorjani. Alameda County Sheriff's Sergeant Ray Kelly wrote in an email to the Express that he doesn't want to speculate about Ortega's case without a thorough review. But Kelly wrote that the sheriff's office "take[s] any ICE request very seriously and has a very fair and balanced policy that favors arrestees' freedom when there is a grey area." The jails have SB 54-compliance units that work to ensure that ICE is only provided information about people who have been convicted of the specific violent and serious crimes listed in the California Values Act. "I'm unaware of any pattern or trend that would show we don't comply with SB 54," Kelly wrote. "I have found our policy of following of the law to be on target, and a best practice for other counties to follow." 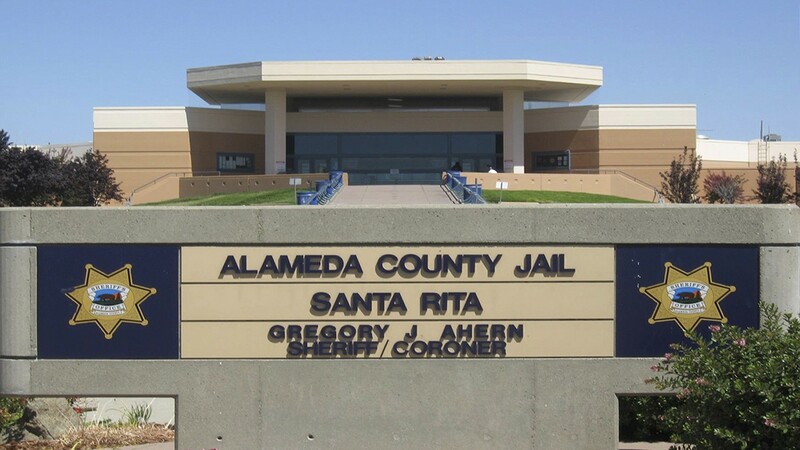 After ICE agents arrested Ortega in Santa Rita Jail, they took her to ICE's San Francisco facility, then a jail in Martinez, and finally locked her up at the West Contra Costa County Detention Facility in Richmond. Ortega said she was shocked and afraid to be held in the Contra Costa County jail. She said she also met other detainees who had been arrested by ICE inside Santa Rita Jail. On March 2, after almost a month in ICE's custody, Ortega had a bond hearing in San Francisco before immigration judge Joseph Park. Park ordered that Ortega be denied bond because she was a "danger" to the community. "She has been recently arrested for possession for sale of a controlled substance," Park wrote in his order, citing allegations, not any record of conviction. The immigration judge's order flew in the face of the superior court judge's order that Ortega wasn't a danger to anyone and that she should be released. Furthermore, because Ortega was in an ICE jail, she was unable to appear in superior court to respond to the allegations she was in possession of drugs. Jorjani, Ortega's public defender, quickly filed an appeal, and then filed a lawsuit known as a writ of habeas corpus in U.S. District Court. "The Petition for Writ of Habeas Corpus is an extraordinary measure," Jorjani explained in an email to the Express. "Ms. Ortega happened to have been arrested in a county where the public defender’s office not only had a thriving and groundbreaking removal defense practice, but had recently begun another groundbreaking practice of filing habeas petitions to challenge the constitutionality of detention in certain cases.."
Jorjani argued in the lawsuit that Ortega's rights were being violated because the immigration judge based his decision on mere allegations, not a conviction, and had failed to make a ruling of probable cause. "[Ortega] is currently being treated as though she has been found guilty of all criminal charges pending against her, despite the absence of any such verdict or finding," wrote Jorjani in the lawsuit. "Essentially, she has been found guilty in immigration court of all of the conduct alleged, none of which has been substantiated, without any of the rights or procedural safeguards afforded to individuals accused of crimes." U.S. Magistrate Judge Jacqueline Scott Corley agreed and ordered ICE to release Ortega on May 15. As to whether the sheriff violated SB 54 in Ortega's case, this hasn't yet been determined. Ortega's other attorney Hussain filed a claim against Alameda County over the incident in August.